Pity that 15 year old singer/songwriter Dionne Bromfield's sophomore album didn't do better than it did. 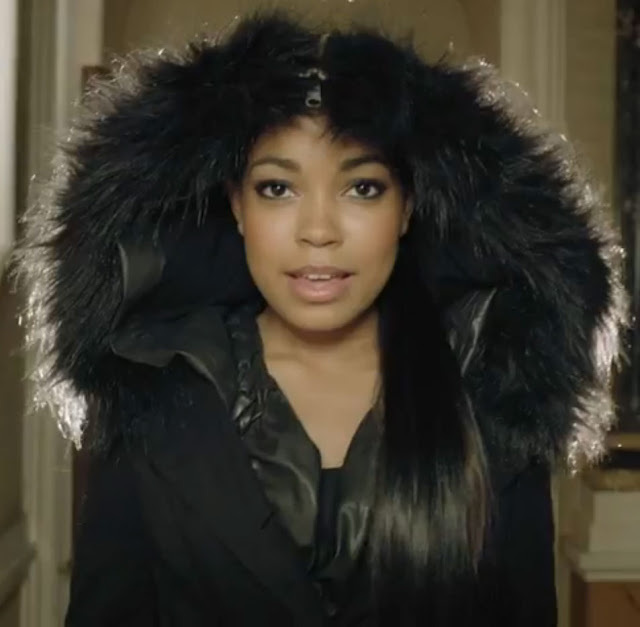 When Bromfield first arrived on the scene as the first artist signed to Amy Winehouse's record label, Lioness, she was the talk of the town and while her first album, 2009's Introducing Dionne Bromfield, wasn't exactly a resounding success (it peaked at #33 on the Official UK Albums Chart) it was a sweet taste of what the then 13 year old Bromfield had to offer. Ultimately realizing (and rightfully so) that she couldn't sing Motown covers for the rest of her life, young Bromfield embarked on the path to pop music releasing her second album, Good For The Soul in July. The album went on to peak at a disappointing #53 on the Official UK Albums Chart and spawned only one charting single in the UK, the Diggy Simmons-assisted "Yeah Right," which debuted at #36 on the Official UK Singles Chart. Follow up singles, "Foolin'' and "Ouch" failed to impact the charts at all, nor did her and Tinchy Stryder's Olympic promo track "Spinnin' for 2012." Despite having a rough July with the passing of her beloved Godmother on July 23rd, Bromfield was a trooper, performing live in support of The Wanted only two hours after learning of her Godmother's death. In October, Bromfield took to the stage yet again, this time at the 2011 MOBO Awards where she performed a heartfelt tribute to Amy, covering "Love Is A Losing Game." Despite her lack of chart success, it's important to keep in mind how young Bromfield is. The girl is only 15 and just at the beginning of her undoubtedly long career. Already stepping up her game by co-writing much of her sophomore album, Bromfield has what it takes to succeed in the industry and I think, thanks in large part to her Godmother's faith in her, she will. Check out the Arjun Rose-directed video for "Ouch," a promotional single released in support of the English horror film, Demons Never Die (also directed by Rose and starring X-Factor judge & N-Dubz member Tulisa Contostavlos) and featuring up & coming rapper Mz. Bratt. The song is a revamped version of "Ouch That Hurt," taken from Good For The Soul. Download "Ouch" on UK iTunes HERE.